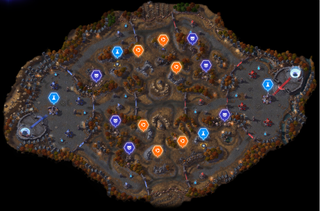 If you’ve played Heroes of the Storm, you’ve probably found yourself wondering if there’s a way to predict when and where tributes appear in the “Cursed Hollow” map. HOTS player and Reddit user Stumpaxe made a very handy guide explaining how the tribute spawning system works in the level. Check it out on imgur.